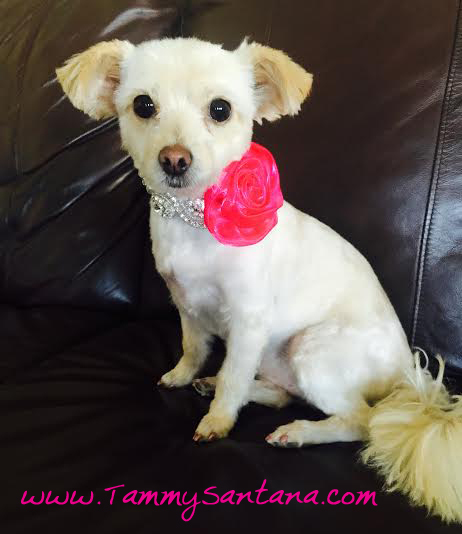 Are you planning on having your fur baby be a part of your wedding or holiday family photo? 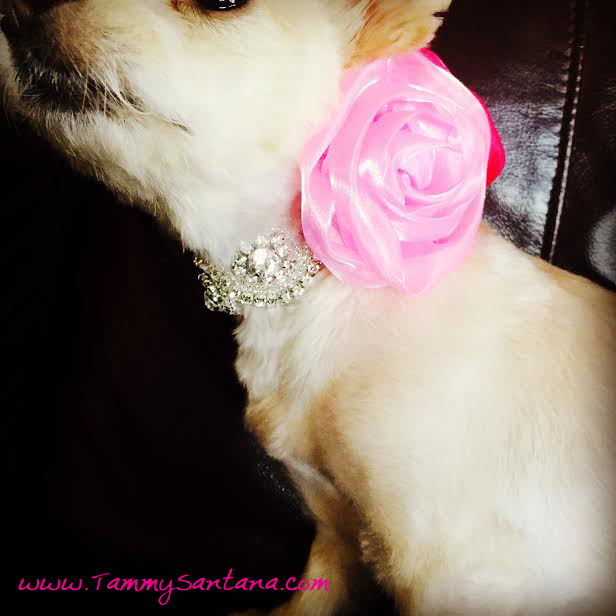 It's easier than you think to make this beautiful special occasion collar! 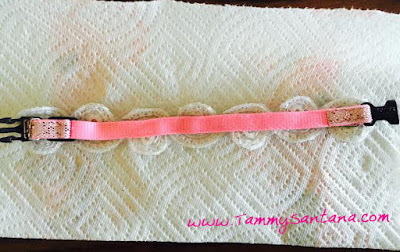 The trim is sold in one yard pieces as shown above so you can use it for several projects. 1. 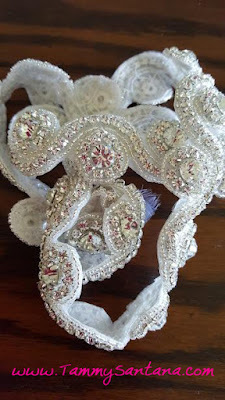 Remove the heat activated adhesive strip from the rhinestone trim strip and use a glue gun to add glue liberally to the collar. 2. 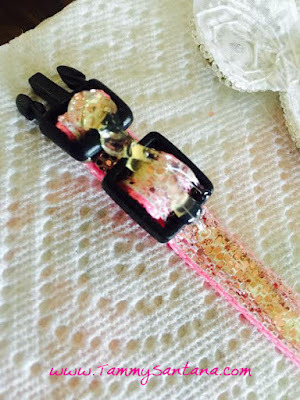 Lay the rhinestone trim piece on top of collar, centering it in the middle so you cant see the pink collar when your pet is wearing it. 3. 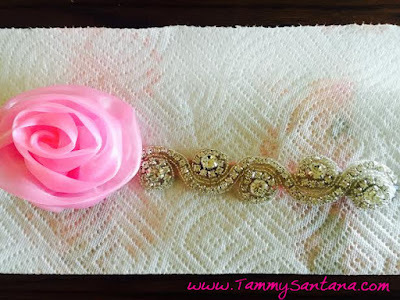 You can add a silk flower in the color of your wedding for added decoration and to hide the clasp. 4. 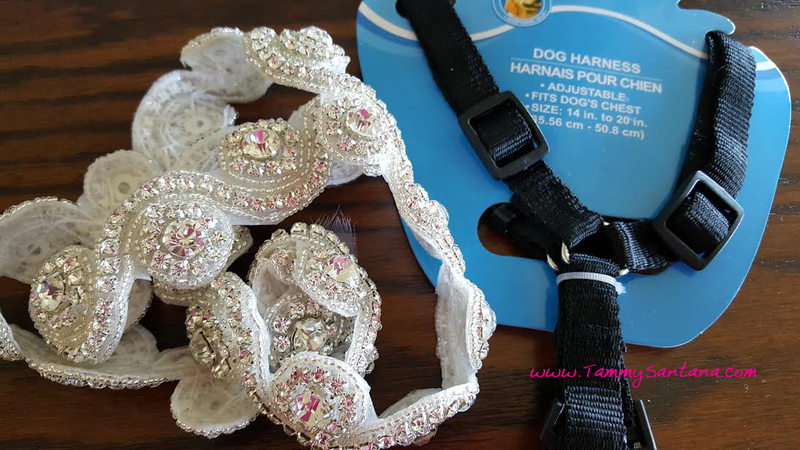 Let glue dry thoroughly before trying it on your pet. 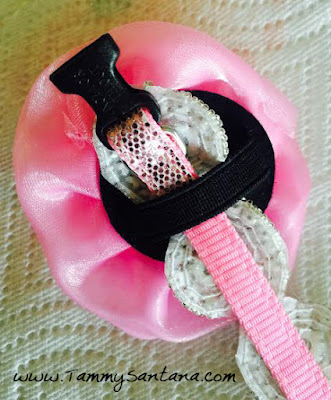 For more special occasion pet gifts checkout my Etsy store First Class Pets!